Who’s ready to party? It’s Friday AND it was a super short week because of Memorial Day on Monday, so I think there’s plenty to celebrate! And what’s more party perfect than a Party Skirt? If you’ve been a longtime reader, you’ll remember I featured the navy Party Skirt on here over three years ago! Each season they introduce fabulous and fun prints, along with your favorite go-to party colors like pink (pale and hot! ), black, red and blue. This spring I fell in love with the birds of paradise print – it’s beautifully bright and reminds me of one of my favorite places! I go to Carlsbad (just a hair north of San Diego) every summer with my family, and I always spot Birds of Paradise on my morning run. I thought this skirt would be a fun piece to wear with my orange espadrilles for an elevated-but-casual weekend look! I’m also loving this palm print, this flamingo skirt and this other palm print (both are so good!!). Click here to check out all of the Party Skirts from the Spring 2016 Collection! this skirt is gorgeous, love the print. That skirt is so fun and totally perfect with your off the shoulder top. The shoes finish it all so well! 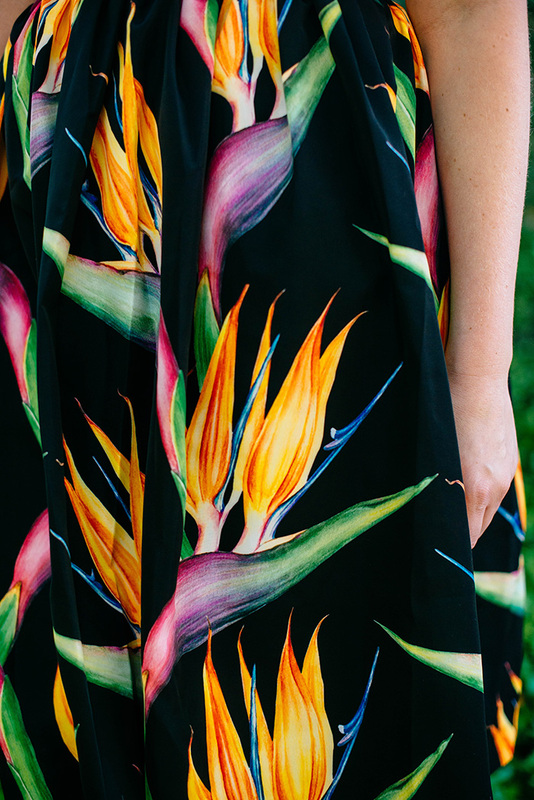 That bird of paradise print is beautiful, that would be the perfect skirt for Hawaii! 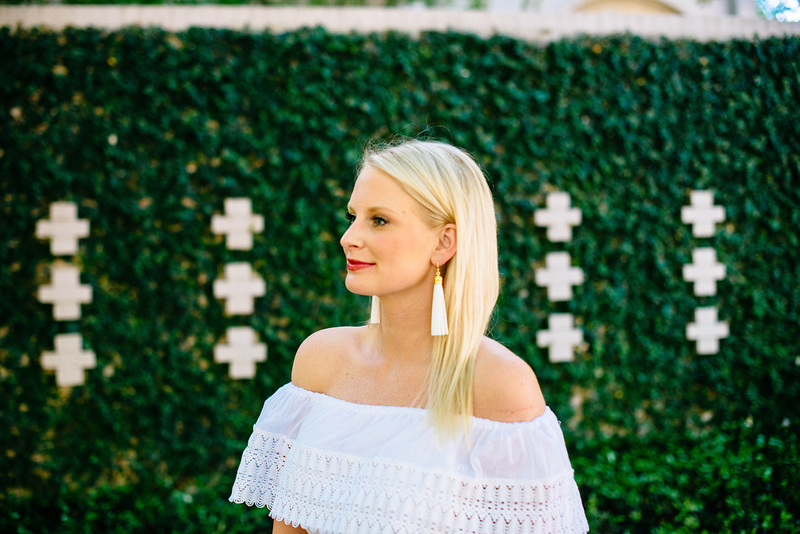 I am so obsessed with off shoulder blouses. You look perfect. Love also the earrings! LOVE all of these colors together! I love party skirts and finally just need to get one! The colors here are incredible!! 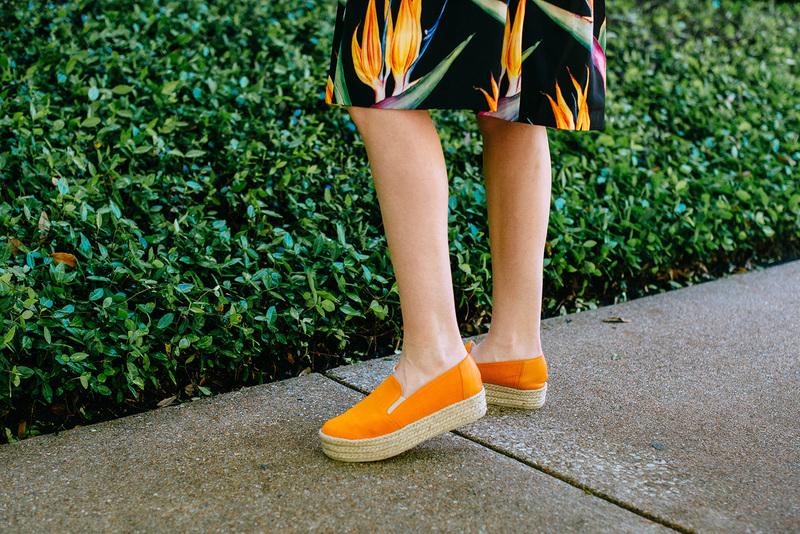 Love the pairing of the bright espadrilles too! 100% obsessed with this entire look! Need it all. Well how beautiful is this?! I love the way you’ve styled it.